Announcing Two Prizes for January Photo ID Contest! We’ve launched our January Photo ID Contest! What is this? Tell us what this is and/or where this photo was taken for a chance to win a copy of Graeme Pole’s book titled Canadian Rockies Explorer. We are also going to draw for an autographed copy of Lynda Painosi’s book titled Take a Hike With Your Children (from Tots to Tweens in the Canadian Rockies). This book features hikes of 5 km or less. Congratulations to Ken McLellan for winning the December photo contest! 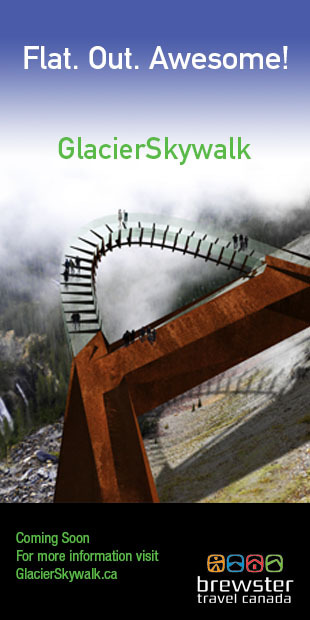 He correctly identified the picture of the Sulpher Mountain boardwalk at Banff National Park. Thanks to everyone who participated last month! Beginning this Saturday, there’s a new option for winter family fun in the Calgary area. 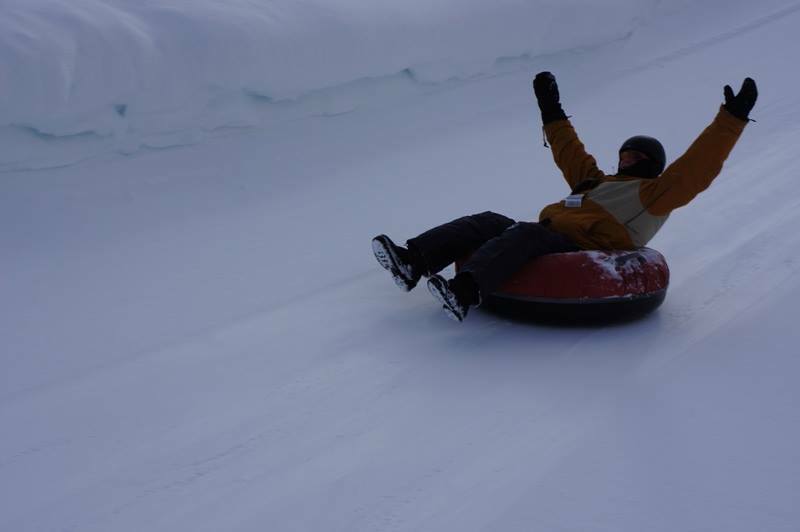 Nakiska Ski Area has added a new Tube Park, which officially opens this Saturday (December 14). The Tube Park features two tubing tracks adjacent to Kids World in the base area. The tracks have their own dedicated Magic Carpet Lift. Returning guests will also notice another improvement base area: the expansion of the deck/eating area and the addition of a new covered BBQ pit. It’s a great place to gather with friends and family as you take a break from the slopes or tubing tracks. While you’re waiting for the weekend, you can enter the contest to name the new Nakiska Tube Park Hurry, though–the contest closes December 16. Winners will receive Tube Park tickets for two adults and up to three children. Revelstoke Mountain Resort’s opening day is only three days away. 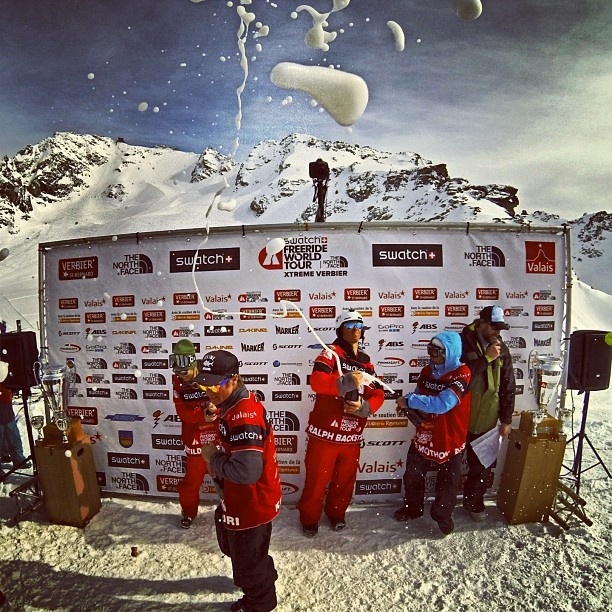 November 30 begins an exciting season, which includes the annual Freeride World tour December 16-23. Revelstoke Mountain Resort is the first stop on The Swatch Freeride World Tour by The North Face, and it’s the only resort in Canada to host the event. In fact, there is only one other location in North America that hosts this 5-star freeride championship event. The tour circuit hits up 6 world class venues with Revelstoke Mountain Resort is stoked to see the FWT return this winter! Fun abounds before and after The Swatch Freeride World Tour as visitors ski, tube, dine, and participate in many activities. Some of the many scheduled events include musical performances, drop in curling, dance performances, and teen nights and pool parties. The weather is already helping to make it a top-notch experience for winter sports enthusiasts. A solid early-season snowfall has provided the resort with a reliable base on the upper mountain, and more snow is in the forecast for the weekend. Visit Revelstoke Mountain Resort’s website to refresh the snow report, check the weather forecast, view the latest photos, watch the new webcams and Get Stoked! The Canadian mountain parks offer countless opportunities for great photographs, and your best pictures could become prize winners in our 2013 photo contest. We’ve received hundreds of stunning entries in previous years, some of which are displayed above. We’re offering exciting prizes again this year, including an amazing 3-night Dream Getaway to Radium Hot Springs, a HD Camera Outfit, and much more. 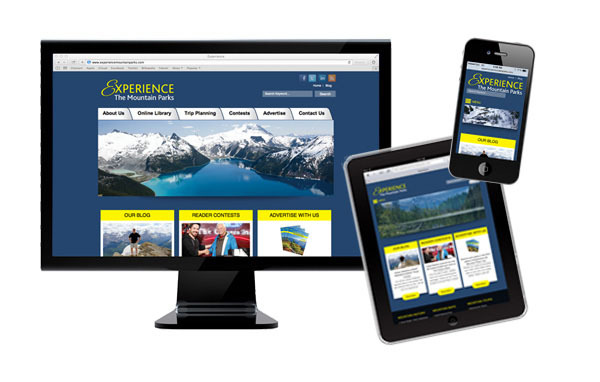 Make sure to bring your camera with you the next time you visit the mountain parks of Alberta and British Columbia. Then submit your best photos, whether they’re pictures of a landscape, wildlife, or your family and friends enjoying the mountain parks. Be sure to click on the contest link for details about our annual photo contest. Enter now and enter often! Don’t forget to enter our monthly trivia quiz, either. But hurry–this month’s contest ends November 30. Lloyd Dykstra (pictured on right in photo) was the Grand Prize Winner in the Landscapes & Sunsets Category of our 2012 Photo Contest. 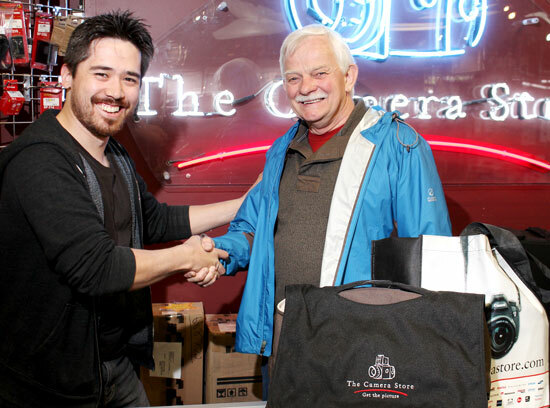 On the left, Chris Niccolls of The Camera Store presents Lloyd with his prize: a High Definition Camera Outfit (approx retail value of $1,500) courtesy of The Camera Store in Calgary, Alberta. You can’t drive through the mountain parks without looking at majestic peaks surrounding you on all sides and wondering what it would feel like to stand on one of them. Fortunately for those not equipped with a background in rock climbing or mountaineering, there are many easy summits to tackle. A couple of them even offer gondola or tramway support to reach all but the last 100-200 metres of the mountain top. 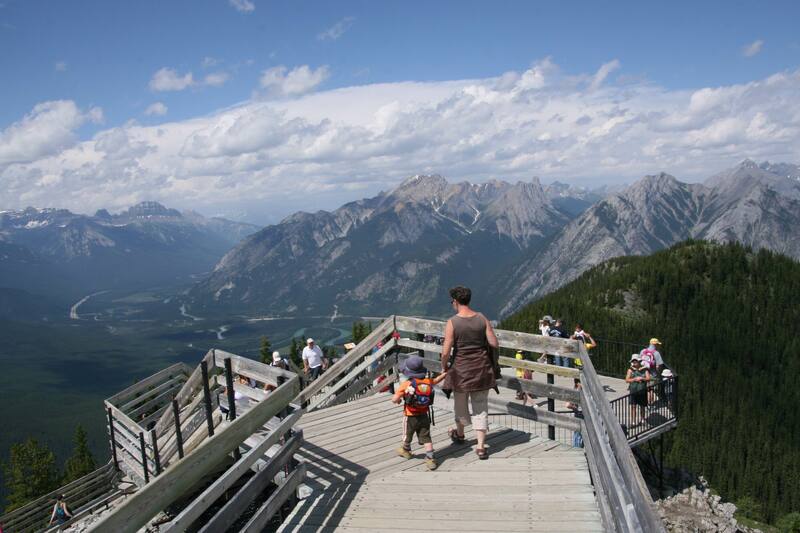 With the price of a gondola ticket, you can reach within 30 metres of the summit of Sulphur Mountain and introduce even your youngest child to climbing mountains. From the upper gondola terminal the Sulphur Mountain Vista Trail leads to the summit via a 2km return hike on a very good boardwalk with stairs. 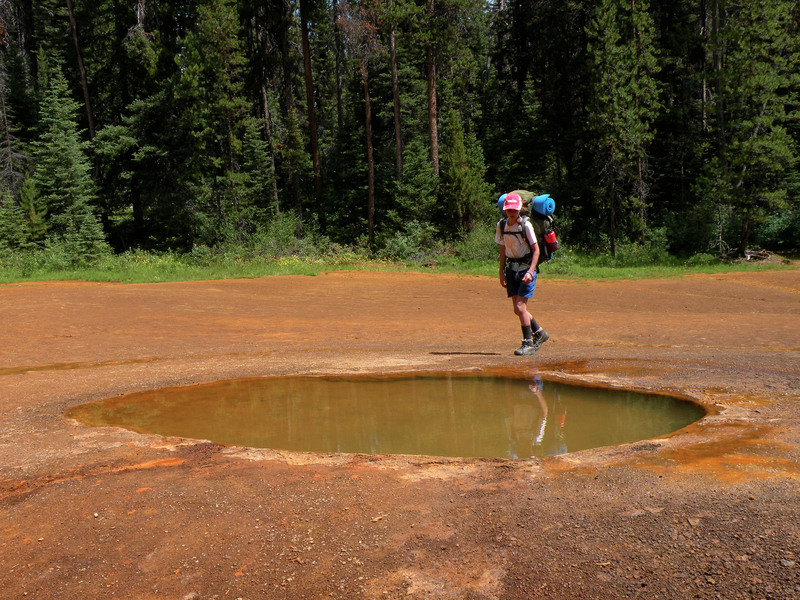 Hikers who are up for more of a challenge can also ascend the Sulphur Mt. Trail to the summit in 700 metres spread out over 6km. Paying for a one-way gondola ticket on the way down is a nice reward at the end that may even entice children to climb to the summit. 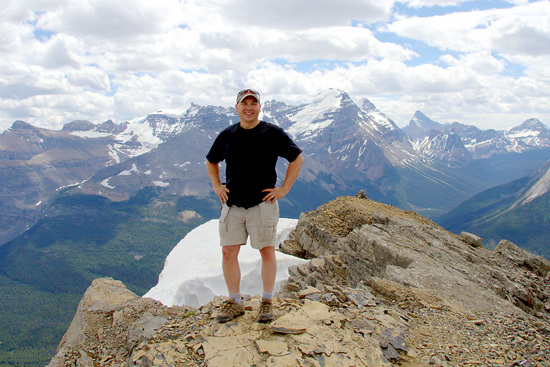 This is a classic summit in Banff that is located right within the town site off Tunnel Mountain Drive. 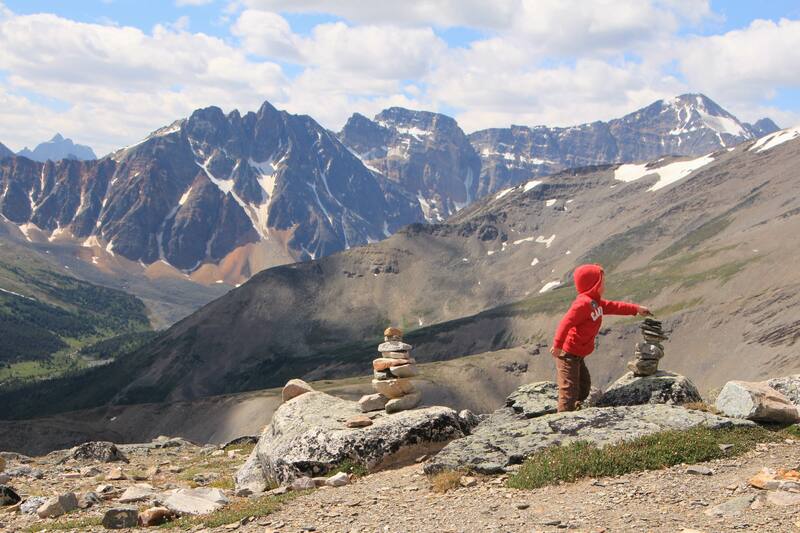 With 4.6km return and 275 metres of height gain, it is an enjoyable half-day hike that begs to be done at least once while touring through the Rockies. From the top you will be able to sit on big flat rock slabs to have lunch while you look down on the entire town of Banff and Vermillion Lakes. 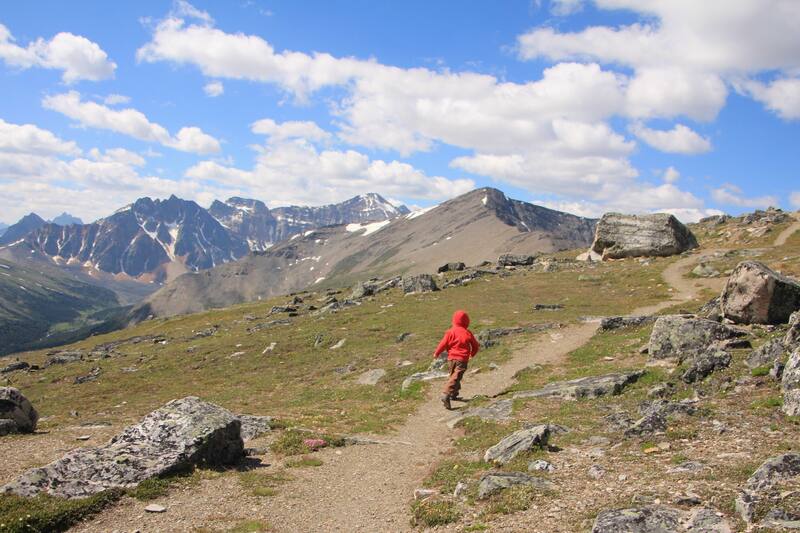 This hike offers one of the easiest ways to access the alpine in a national park, thanks to the Jasper Tramway which carries you up almost 1000 metres with no effort on your part. A few minutes after entering the tram, you will be looking down on all of Jasper far beneath you. From the tramway upper terminal, it is just a short 3km return hike to the summit of Whistler’s Mountain. 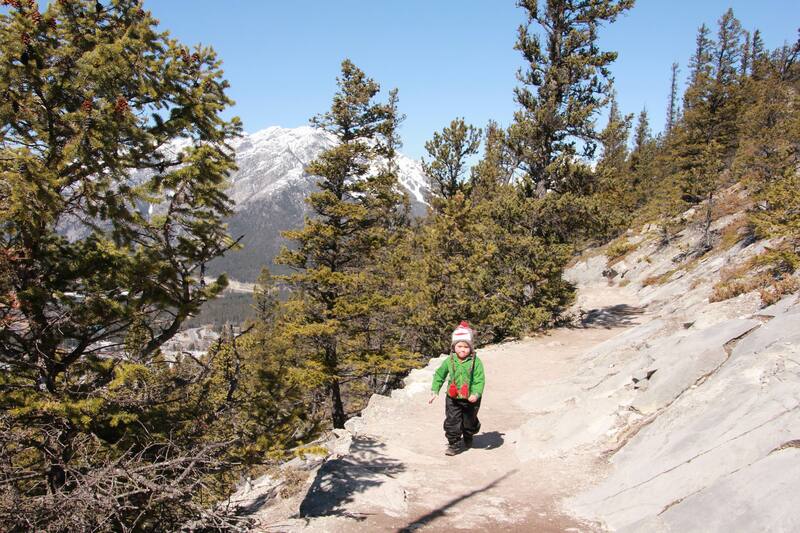 The elevation gain is less than 200 metres, making this a great first summit for families and young children. While not an official mountain, this small hump on the lower slopes of Mt. 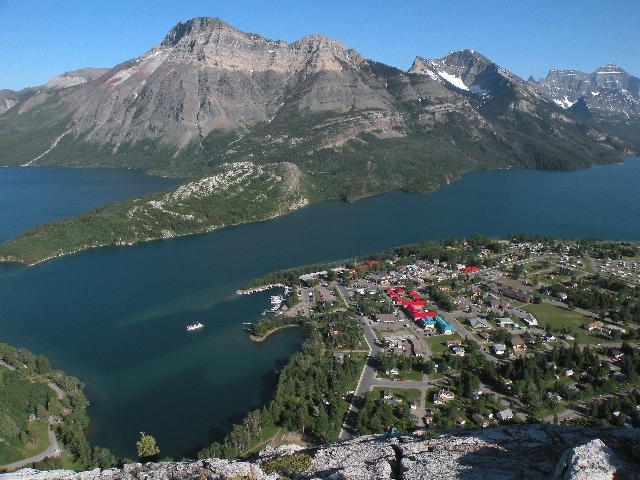 Crandell offers an amazing view of the Waterton Lakes. 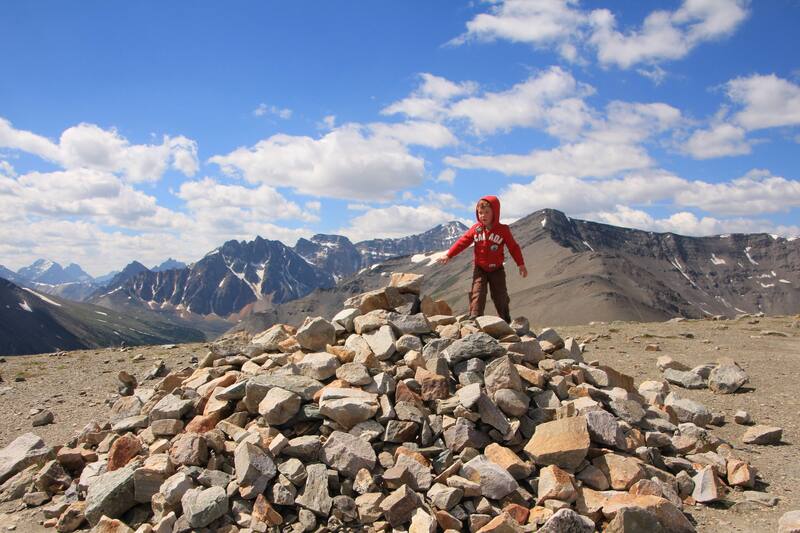 Every summer, visitors to the park depart from the Waterton Visitor Centre to tackle this small summit. The short 200 metre climb may leave you out of breath in spots, but it ends with the best view 2.8 km (return) can provide. We’d like to thank blogger Tanya Koob for writing this blog post for us to feature on our site. 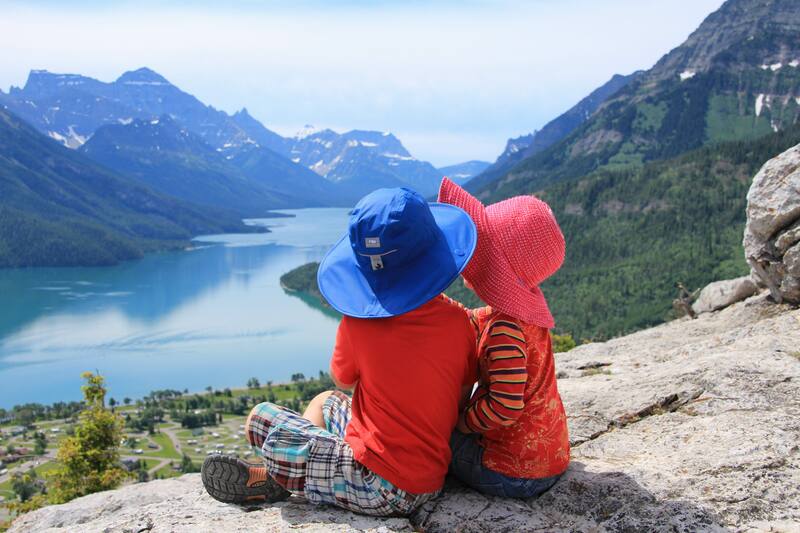 Visit Tanya’s blog Family Adventures in the Canadian Rockies to learn about the joys and challenges of exploring the Canadian Rockies with children. Our winner James Anderson reported back on the guided hike with Graeme Pole he won. He had such an experience! A Wrangler You Ought to Catch…And You Can!